Milos of Croton, 6th Century BC wrestler from the Magna Graecian city of Croton in Southern Italy and 6 time Olympic Champion was known for his feats of strength. 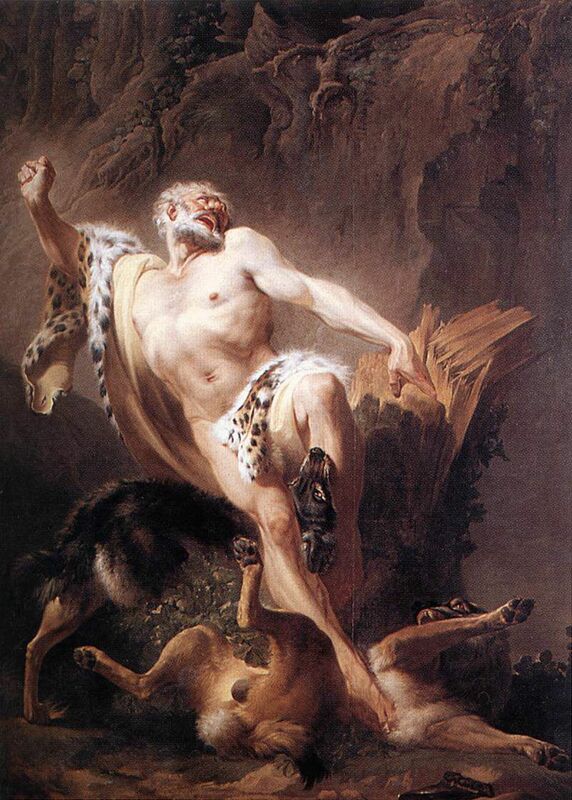 One of the world’s first real strongmen was Milo of Croton. It is said that he gained his legendary conditioning through the coaching of his father, who, gave him a calf, and, each day, directed Milo to go and fetch the calf. Milo, the dutiful son, would go and do so, throwing the calf over his shoulders and coming back in from the fields–just as his father commanded. Over time, the calf grew into a bull, and so, the story goes, did Milo’s strength. Now, a bull can grow upwards of two-thousand pounds, i.e. a ton. Plain and simple, a ton is probably too much weight to be hauling around. What you need is a pig. That’s why we’re proud to offer the J-Fit fitness pig. 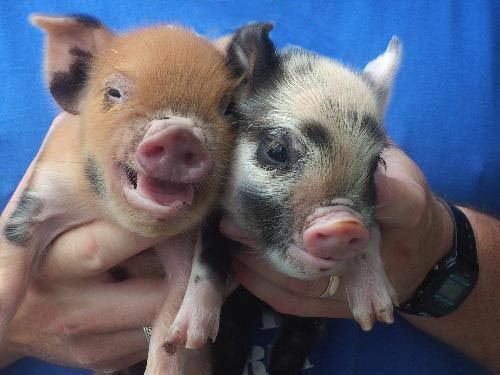 We’ve made deals with local farmers here in central California to deliver piglets (shotes the farmers call ‘em) to the first 40 customers to act now (as of this posting, 39 piglets are still available). Over the next twelve months I will design a regiment to be performed daily with you and your J-Fit fitness pig, and, together, we will tap into the same routine that made Milo the strongman of the ages. The J-Fit fitness pig – just one more way that J-Fit and CrossFit Watsonville are taking fitness to the streets. I chose Lester (the red-head on the left). I can’t wait for him to be a full grown boar so I can jog past my local Starbucks with Lester on my shoulders. That’ll be something for all the Sunday morning cyclists with their $10,000 rigs to think about. 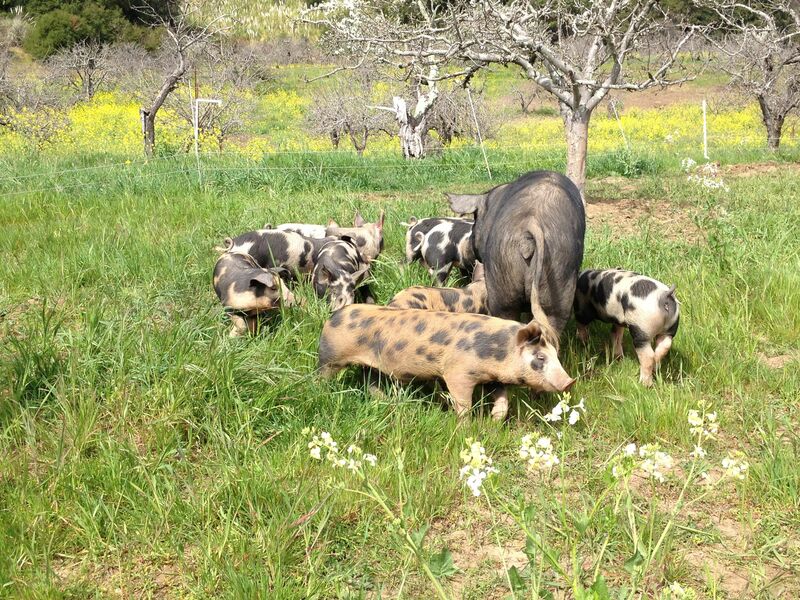 Fogline Farm in Santa Cruz; One of the local organic farms that we’ve teamed up with to supply our baby piglets!